A Northeast Mississippi lady has been going around Lee County, impersonating management at various companies, and even an Alcoholic Beverage Control (ABC) agent. 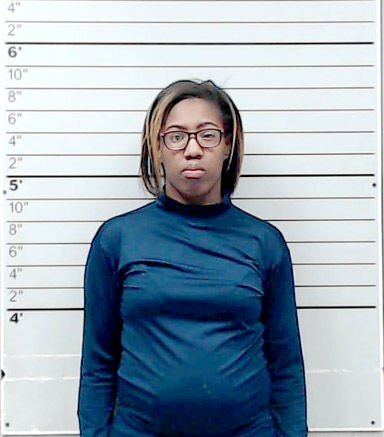 Alicia Mone Brooks, of Columbus, now sits in the Lee County Jail, charged with the misdemeanor charges of impersonating a law enforcement officer and petit larceny. Brooks entered a West Main Street liquor store, presented what a employee, Ward Gallagher, thought were ABC credentials and said she had proof the store had been selling to minors. The liquor store owner, later that same day, contacted real ABC Agent Pat Daily. Daily confirmed Brooks, 27, was not an agent and asked the store to produce a cash register receipt which revealed the total amount of alcohol missing — $371.98. Brooks was Mirandized and she gave a voluntary written statement that she had impersonated a law enforcement officer, an ABC agent, admitting she told this to a store employee and the credentials she really presented was a bartenders training card, but said it was ABC credentials and that she knowingly removed liquor from the store without paying for any of it. Also during the course of the investigation she alleged another individual was involved, and had devised the scheme to get the liquor. “My understanding is there is the possibility of two other locations where she (Brooks) went in and posed as a managerial person within a company,” Johnson said. The affidavits and arrest warrants were presented to Lee County Justice Court Judge Chuck Hopkins and signed. Hopkins set Brooks bond at $1,400 but an investigative hold was placed on her for a Tupelo Police Department (TPD) investigation. The sheriff says it is OK for a business owner to check out someone, who claims to be with a particular law enforcement agency. This is an ongoing joint investigation by the LCSD, ABC and TPD. If you have any information related to this case, please call crimestoppers 1-877-303-TIPS.